Adam finds the strange and odd romantic Korean Animated film Satellite Girl and Milk Cow a charming affair with a wee bit more on its mind than your average animated feature. New from GKIDS’ on Blu-Ray. As animated features go, Korean writer/director, Hyeong-yoon Jang’s newest feature Satellite Girl and Milk Cow is on the outer reaches of strange. Stranger still, it manages to be a conventional romantic comedy-drama and all that entails. The film is your average story of a satellite turned girl falling in love with a heartbroken singer/songwriter turned bovine. Add in an evil furnace that wants to kill said bovine. A dash of Merlin (yes, THAT Merlin) turned into a magical roll of toilet paper for good measure. You have the very definition of whimsical. All of this may sound stupid but Hyeong-yoon Jang manages to imbue everything with a wit and dry sense of humor that makes even the most precocious of moments palpable to the more discerning and jaded viewer. It is always treated with the lightest of touches but with so much humanity many will be shocked by the complexities on display in this story. The film could have different if not handled by Hyeong-yoon Jang’s deft touch. The writer/director even manages to imbue some very socially relevant themes into the story. The film rather than manufacturing drama allows for some very male-centric possessive attitudes that males have to be the roadblocks. Even more shocking is the resolution that involves sacrifice, forgiveness, and humanity. At 81 minutes the film is a breezy romance with more charm and smarts than one would expect. 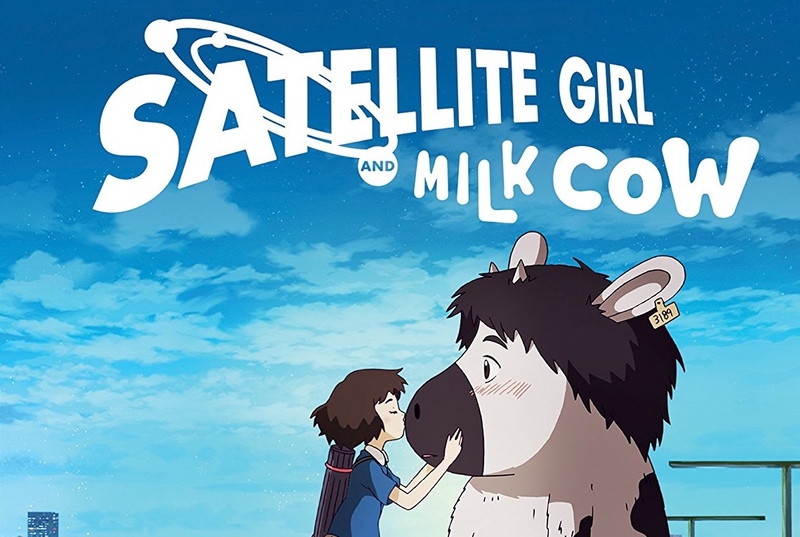 With its bizarre world, a healthy amount of humor, and visual wit Satellite Girl and Milk Cow may be the anecdote for the stale rom-com genre you’ve been looking for. The Transfer is flawless. What you would expect from a film released in 2018. The great short film does give one an insight into the evolution of director Hyeong-yoon Jang’s style as a filmmaker. Much like Satellite Girl and Milk Cow the plot is better experienced than discussed. Needless to say, its a fun and fascinating 30 minutes. Satellite Girl and Milk Cowis a refreshing romantic comedy adding the right blend of the bizarre, witty, and humane. Recommended.